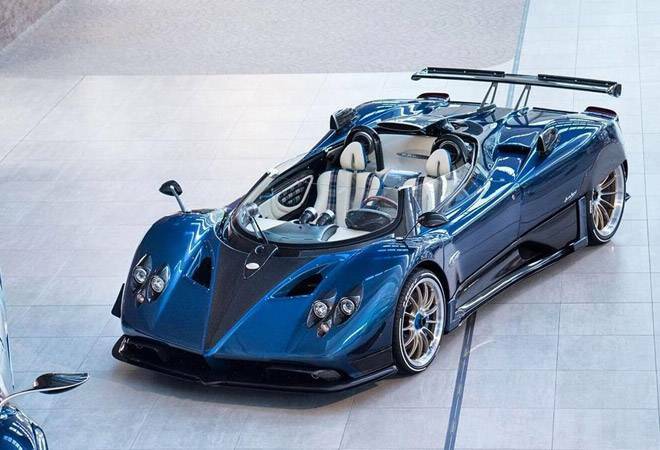 Horacio Pagani, the founder of Italian sports car company Pagani Automobili, recently debuted the Pagani Zonda HP Barchetta at the 2018 Goodwood Festival of Speed in West Sussex, England. Horacio Pagani, the founder of Italian sports car company Pagani Automobili, recently debuted the Pagani Zonda HP Barchetta at the 2018 Goodwood Festival of Speed in West Sussex, England. The Goodwood Festival is an annual hill climbing event featuring historic motor racing vehicles and is usually held in late June or early July. Priced 13.5 million pounds sterling, which is approximately Rs 122 crore, the Zonda HP Barchetta is the costliest car of recent times. The hyper-car is powered by a 7.3-litre naturally aspirated engine, coupled with a six-speed manual gearbox. It flaunts a wishbone suspension, upper rocker arm with coil springs, adjustable Ohlins shocks, and an anti-roll bar. It has beefy 380mm brakes with ventilated discs all around, six-piston calipers up front, and four-piston calipers on the back. It boasts 789bhp of power, and weighs in at just 1250 kg. Horacio, who previously worked with Lamborghini, founded Pagani Automobili in 1992. The company has manufactured some of the most exotic and sought-after cars in the last 26 years. The boutique Italian hyper-car manufacturer, however, keeps its production numbers relatively low when compared to the likes of Lamborghini and Ferrari. In the present case, only three Zonda HP Barchetta models will be manufactured; one to be retained by Horacio himself.